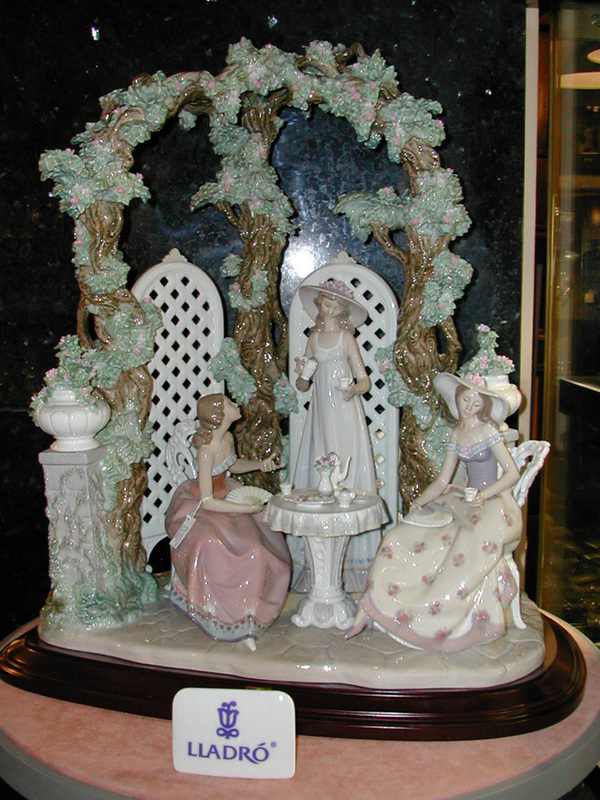 Lladró figurines are very often based on a timeless romanticism, another dimension, indefinable yet somehow familiar. You'll find all of life's good, noble and beautiful elements there. "Tea in the Garden" is a piece that transports us to this peaceful and evocative 'somewhere.